blog.samseidel.org: Cui dono hunc libellum? It's not Catullus, but it's close. It's also the phrase that came to my mind while looking at the first book printed in North America, a psalter published by Stephen Day in Cambridge, Massachusetts in 1639. Called the Bay Psalm Book, it sits in the Houghton Library at Harvard and is as valued by book collectors as a Gutenberg Bible or a First Folio of Shakespeare. What an odd little book, hunc libellum. What a lovely little book, lepidum hunc libellum. Imagine coastal Massachusetts of the 1630s, and how it must have seemed to the European mind. Its impenetrably dark woods emitting wild and strange sounds crowded these white semi-literate settlers at every turn, almost pushing them back into the sea. In these dark woods, an unknown and "savage race" of native peoples speaking no language ever seen or heard in Europe eyed them with great suspicion and intentions unknown. From 90F in late August to 8F and 5 feet of snow in early February, the extreme swings of temperature and climate were as disorienting as they were potentially deadly. Every plant new to sight and smell and taste was a savior or a murderer depending on its toxicity. Unidentified beasts lurked deep in the dark land, growling, browsing, climbing, scratching, howling, as if man needed any further reminder that he was granted no God-given dominion here. All of this, all of it, was what a few English settlers saw and felt in those first years on these shores. And what did they decide to do? They took their latest technology, their most advanced item, the printing press, and they published a bunch of songs that a Jewish tribe wrote down on papyrus in the arid Near Eastern desert sometime 2,500 years before. What an odd little book, hunc libellum. Its leather binding protected the pages which survived the cold winters, the floods, the snows, the diseases, the animals, the attacks, the fires. Like St. Peter upon his rock so these Protestants upon this book in this strange and hostile land founded their churches, their universities, their traditions, their laws. From this book, steeped by the brew of time, sprang a kaleidoscope of culture, like the rainbow hair from the 1960s pop artist Peter Max. America is the kaleidoscope. America is the rainbow. 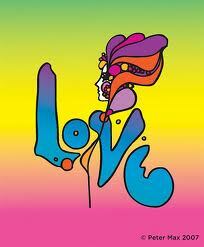 All you need is ... ?